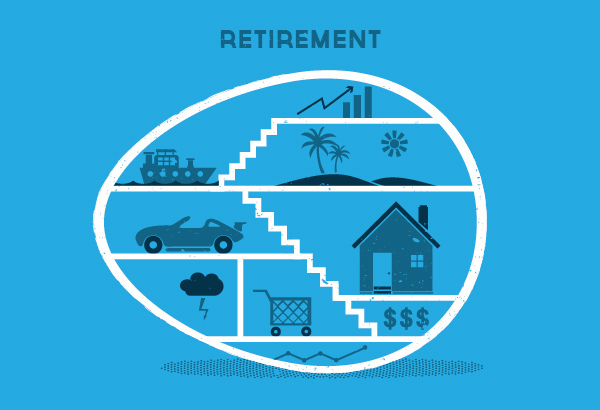 Whens the Right time to Start Planning for Your Retirement? Have you started planning for your retirement yet? And, if not, when are you planning to start? The answer to the question of this post is, of course, as early as you can. The earlier you start, the easier it will be to save – and the more comfortable you will be in your senior years. Here are a few examples and reasons why it’s important. There aren’t many 20-25-year-olds that contemplate their pension – other than a few souls older and wiser than their years. It’s hard for young adults to see that far in advance, and 65 seems like a hell of an age. But, it’s not only easier to start saving what you need; it’s also sensible. Getting those good habits in at an early stage will put you on the right path, and the 10-15% you put aside every month will pay off in the end. Let’s say you start saving for your pension in the 30s. There’s still plenty of time, of course. But, you have to understand there will be some difficult periods coming up. A lot of people start families when they are in their thirties, and the cost of raising kids can put pressure on your finances. If you haven’t got that hard as nails attitude of putting aside your 10-15%, it might be tempting not to. Let’s assume you save £3000 a year when you are 25, and let’s say you have an 8% return. That’s over £472,000 when you are 65. However, leave it for just ten years until you are 35, and the sums are very different. That 8% return will give you £367,000 – almost a whole quarter less. That’s an enormous sum of money which would see you living in a less comfortable way for many more years. But it’s even worse when you start saving in your 40s. Start saving at 45 and it will only give you almost half again at 8% – just shy of £190,000. Of course, there is an easy way to get through this – just increase your savings. But, again, at this point in your life, will you be able to afford it? Kids have to get through university, and you may only be half way through your home loan. There are many costs associated with senior living. Your medical costs will rise, for example, and you may want to look into maintained retirement homes. Plus, you just won’t be earning money. Or, if you are, it is likely to be far less than you are used to. You could always sell up the house, of course, and move into somewhere smaller and less expensive. But, if you spend all that money, you’re going to say goodbye to your kids’ inheritance. So, to put it bluntly, if you start saving early, you will be able to live in a way much closer to the lifestyle you have always been accustomed to. But, it’s important to understand that it’s never too late.